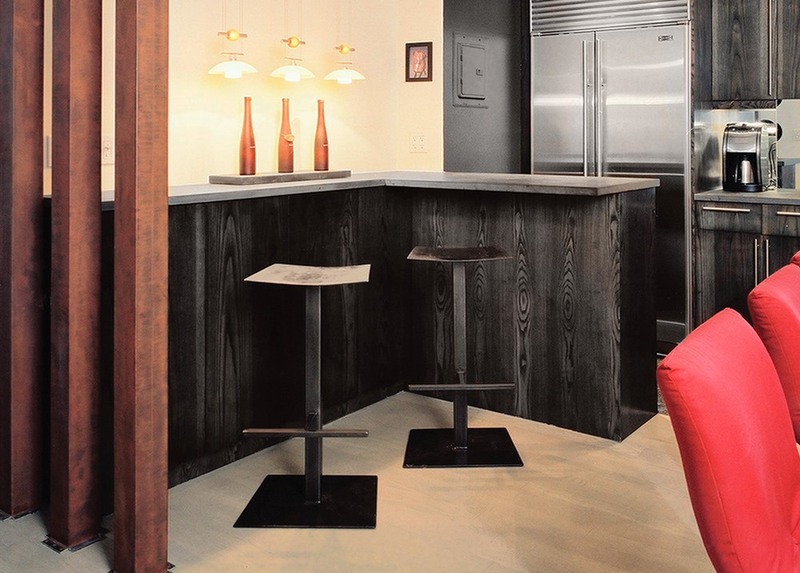 These bar stools were designed for an apartment on Manhattan's Upper West Side. Simple yet modern, the bar stools feature slightly curved seats, which makes them very comfortable. Blackened steel with lacquer finish.